Gardening has been around since time immemorial. Through the years though, gardening has evolved and developed into a more complex process. 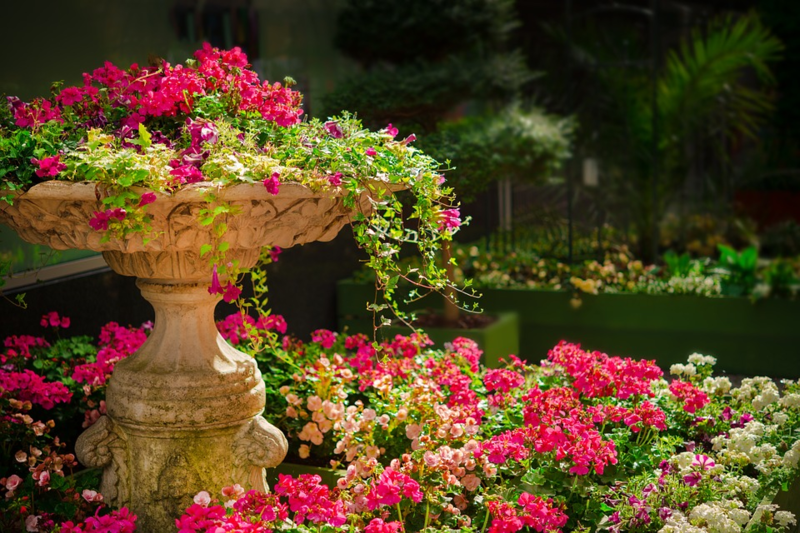 With the help of various studies and research, the art of gardening has indeed come a long way. If you’re new to gardening, don’t worry — successful home gardening can be accomplished quite easily, as long as you have the right knowledge and understanding of the basics. There are many different sources of this information: the library, the internet and advice from long time home gardeners. This article aims to show you the importance of having a garden in your home so that you too, can enjoy the health and money-saving benefits of having one. Continue reading and get ready to plan a trip to your nearest hardware and plant store. Growing your own fruit and vegetable garden has lots of physical health benefits. The majority of us are aware that some, if not most, of the fruits and vegetables sold commercially have been exposed to toxic substances due to being sprayed with various pesticides. For one thing, you will be certain that what you consume is safe and pesticide-free. Growing your own food and opting for organic pest control methods will make the experience of eating fruits and vegetables a safer and healthier experience for you and your family. For another thing, your family will be more inclined to eat fruits and vegetables when they see them often. Your family will have a greater desire to incorporate them into your meals, making it a great way to build a healthier lifestyle for the whole family. Also, having a garden decorated with various plants and flowers can have great mental health benefits. According to studies, having a green view around the home positively affects the mood and lowers stress levels. It decreases anxiety and makes the atmosphere more serene and more peaceful. Some of the most beautiful plants to plant in your garden are perennials, hedgehog cactus and ferns. Just make sure that you choose plants that grows well in warm temperatures if you live in a place where summers can get very hot and vice versa if you live in a place where winters can get frigid. With fruit and vegetable prices increasing more frequently than ever, having your own fruit and vegetable garden likewise becomes more and more essential and practical. Instead of taking a trip to the supermarket, you can just go to your backyard (or front yard) and enjoy a non-time consuming, gas-free journey to a place where vegetables are fresh from the ground, available at your convenience, and best of all, free! Moreover, another money-saving benefit of growing your own fruits and vegetables in your garden is that you will not be affected by sudden inflation and increases in price due to unforeseeable circumstances or a shortage in supply. If the general climate of the area where your home is located permits you to plant different species of flowers, you can even save on buying bouquets for certain occasions. You can just go ahead and pick flowers from your garden. Just do it the right way and make sure not to pick all of them at once.